Recognizing the enormous potential to provide deeper behavioral insights to clients, Threads has created a leading-edge mobile qualitative practice with a focus on the design and deployment of rapid turnaround studies that leverage both live and asynchronous qualitative options. Threads President Mark Michelson created the Mobile Marketing Research Association, a global trade association dedicated to the development of professional standards and ethics for conducting market research on mobile devices. We offer a full range of mobile research techniques including application-based, mobile web and text message. Each method can address various business and research requirements and our solutions cover all mobile operating systems.When and if mobile research can be of value as a stand-alone methodology or as part of a larger multimodal qualitative approach, Threads has the experience and know-how to handle platform selection and study design in meeting the unique challenges of “in the moment” data collection. 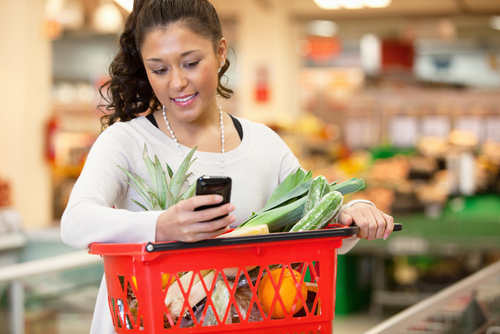 Collect real-time data from shoppers and research participants using mobile devices with video, audio and text capabilities. With the proliferation of mobile devices, smart phones and text messaging, we can engage participants in ways never before possible and collect real-time data of their experiences in the moment. Participants are recruited just like in other types of studies. Then, over a period of days or weeks, they receive your predetermined questions at specified times and simply text-back their responses. All responses are automatically gathered and sorted by question and participant. We do all the set-up, program the questions and e-mail your transcript to you daily. -The system can send and receive text messages to and from any mobile phone in the world.